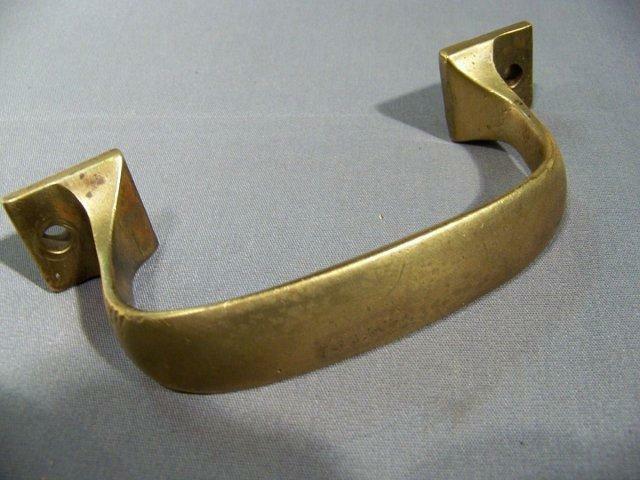 Price Is For This Nice, Old, Solid Brass, Pull Handle. It Has Appx. 5 11/16" Overall Length x 1 1/16" Widest End Base Width. 1 Pull Available. Pull Has Nice Mellow Brass Tone; [more of a lighter, dull/matted tone, than seen in photo]. Has Some Common Old, Small Dings, etc. Mounts By 2 Screws Into Front. Purchaser Pays Shipping.